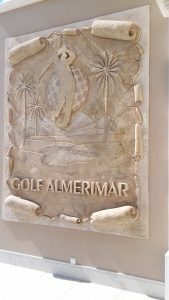 Jose R. Ortega Lopez was the great winner of the Almerimar Golf Tournament held Sunday June 17 at the Golf Almerimar Resort. 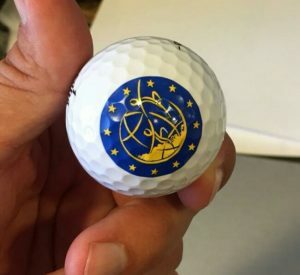 This initiative was designed by Faustino Gomez on behalf of the Fundacion para la Mejora de la Vida, la Cultura y la Sociedad of Madrid with the help and sponsorship of Almerimar Golf Director, Mr. Juan Parron. 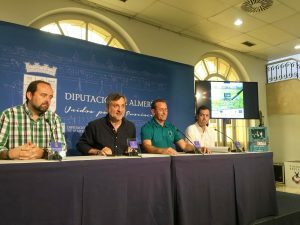 The organizers got the immediate collaboration and support of the V/President of the Provincial Government of Almeria, the City Council of El Ejido represented by the In-Charge of the Drug Prevention Programs and Addiction Problems, the Counselor for Sports , the Social Services, the Representative of the Almerimar District Board, Caritas Palerma, the Almeria Golf Center and the Foundation for a Drug Free Europe (FDFE) . 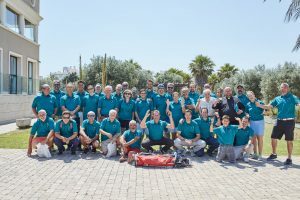 A hundred of players participated to give master blows against the drug, a scourge that ends too many lives, destroys families and the social stuff. 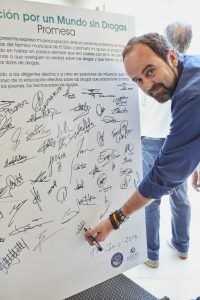 All the participants signed the Pledge for a Drug Free Life. 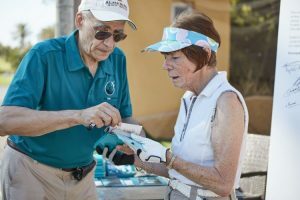 The tournament ended in a friendship ambiance around a tasty meal offered by the Almerimar Golf Club. 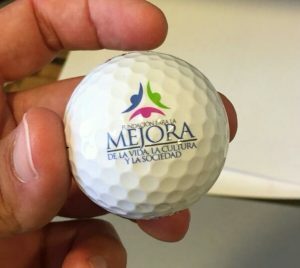 In addition to the Awards, all the players received a set of golf balls with the logos of Mejora and FDFE and a group photo was taken with the participants wearing the polo offered by the Foundation for a Drug Free World.